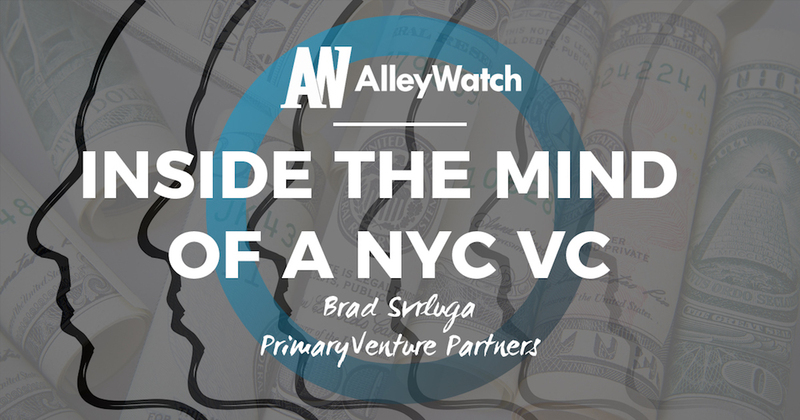 Welcome back to Inside the Mind of an NYC VC, a highly acclaimed series at AlleyWatch in which we speak with New York City-based Venture Capitalists. In the hot seat this time is Brad Svrluga, General Partner at Primary Venture Partners, one of the city’s leading seed-stage firm. Primary is currently investing out its second fund, which just closed at $100M this week, following the firm’s $60M inaugural fund. The firm has made investments in over 50 startups with successful exits in companies like Jet.com, PumpAudio, Ticketfly, Routehappy, and ClothesHorse. 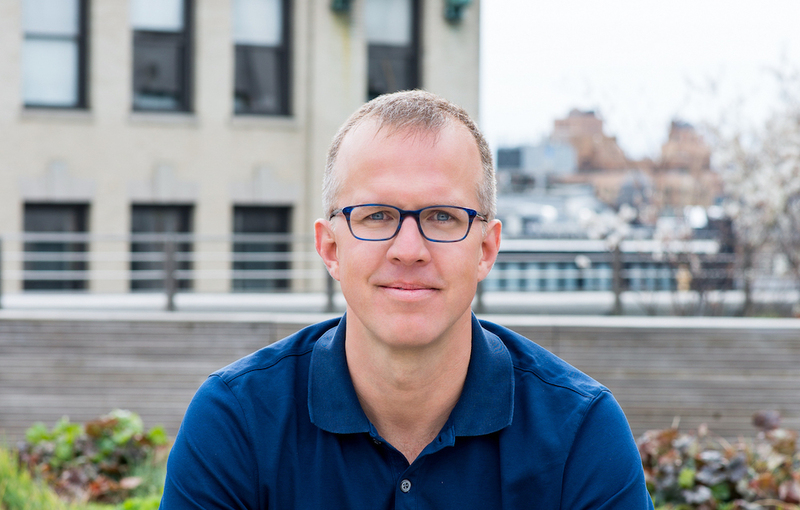 Brad started his career in venture capital nearly 20 years and, with Ben Sun, founded Primary Venture Partners as a successor to High Peaks Ventures. He spends his time on the firm’s B2B investing activities. 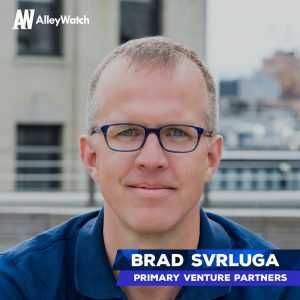 Brad was kind enough to join us to discuss his tenure in venture in New York across three firms, Primary’s latest fund, the fundraising process for venture capitalists, Primary’s focus on tech in New York, actionable tips for entrepreneurs, and much, much more. Reza Chowdhury, AlleyWatch: Please tell us a little bit about your background and how you started in venture. People ask me all the time about advice for getting into venture. In my case, it was a matter of timing and luck. I found myself considering a career change right at the apex of the biggest bubble in history, and the largest over-expansion of the VC capital market in history. So when a good friend who was having delusions of success while running a fund that probably should never have existed asked me to join him I enthusiastically and impulsively jumped on board. It’s not a particularly replicable model, but it’s how I got here, just literally a couple of months before the bubble burst in Spring 2000. What happened from there was about four years of keeping my head down and bailing out a bunch of messes that I had helped get into, jumping in to help operate some of them, and helping others get sold. Long term, this was a very sobering but highly valuable experience. I’ve still got the scars. How is venture different now than it was when you first started? Anything that you feel is frothy now that’s reminiscent of the bubble? companies were utterly unrealistic in their approach, their strategies and their sense of what the market was or wasn’t. In today’s market, the underpinnings that sit behind the vast majority of what we look at are real and viable, and they’re the result of two decades of the internet and new technologies, a decade of smart mobility, and a decade-plus of high-powered cloud computing – all filtering their way through every industry in the global economy. Today’s platforms and applications are sold to end users who are familiar with these technologies, and sophisticated enough to buy them, which is very different from selling video streaming services into a market that had 6% broadband penetration in 2000. It’s an exciting time at Primary Venture Partners. You just announced a brand new fund. Please tell us about that. Yes! We just announced Primary II this week, a $10oM fund that, in many ways is just a slightly larger version of exactly what we’ve been doing since launching Primary in 2015. People ask us why $100M is the right number (our first fund was $60M). It’s a reflection of the market, really. We want to keep our strategy exactly as it was, which is being a high-conviction lead investor in 7-10 deals per year focused on the New York City market. But what’s happened over the last several years is that round sizes have increased a fair bit. If you look back at the first 6 or so deals we did out of Fund I, the average round size was $1.5M to $2M. Now, most of the seed rounds we see are $2.5M to $3M or more. So if you’re going to take the same number of shots on goal, you need a bigger fund to play the same role in the ecosystem. It was important to us to be in a position to very comfortably take half to two-thirds of a round and be a strong lead investor, if that’s what the founder we’re partnering with wants. We will continue to be syndicate-driven investors, consistently partnering with our friends in the ecosystem, in the same way we have been doing all along. What can entrepreneurs expect with this new fund?. Entrepreneurs should expect a continuation of the types of companies that have built our Fund I portfolio. But one of the things that’s most exciting about having a bigger fund is that we do have more resources at the management-company level. Ben and my philosophy from the day we started Primary was that we weren’t in this to get rich off management fees. We’re in it to build an organization that can be known as the best partner to the best founders in New York City on their journey from Seed to Series A. That means building the sorts of resources in our Portfolio Impact program that we’ve done over the last few years around talent and recruiting, foundational finance support, market development, and PR and communications. You can expect to see quite a bit more investment in those sorts of resources, and we’ve already gotten started, having made three new hires in the last few months. Before Primary, you managed High Peaks Venture Partners. Now in your third fund, how is this different than managing your first? Now that we’ve achieved a certain size (13 people) and scale, we’re managing something that looks and feels more like a small operating company than a traditional asset-management partnership. I feel like Ben and I do many things in our day-to-day now that look and feel more like CEO management activities than individual contributor investors. And that’s really exciting because we’ve been able to bring on incredible specialists with unique skills who can have a huge impact and who are who are far better at those things that we are. From a capabilities standpoint, we’ve raised the bar across the board, but we’ve also created the best odds for our companies to succeed by providing them with the same concentrated level of service and focus that we have in the past. You see a lot of VCs raising subsequent funds, continuing to make more investments and growing their portfolios, but not making corresponding investments in their own team. It’s just impossible to take that approach and be able to maintain the level of service quality that you deliver to your portfolio companies. We take the opposite approach; as our portfolio grows, we want to add resources that leverage our time so that we can steadily improve the level of support we offer our companies. It’s a simple fact that investing partners don’t scale – I can’t go from responsibility for 6 portfolio companies to responsibility for 10 without changing either or both of my model or the amount of focus I can give each company. It’s amazing how many investors seem to live in denial of this simple math. How’s fundraising different as a venture capitalist than it is as an entrepreneur? I tell entrepreneurs all the time that raising a first-time venture fund is radically more difficult than raising a Seed or Series A round for an operating company. This is because there is defined and well-understood scarcity in the financing of an operating company that is not the case for a VC fund. An operating company will have only one lead investor, two or maybe three total institutional investors, and then the deal is done. Everyone else misses out. If the company succeeds then the next chance anyone has to invest in the company will come at a materially higher price. As a result, for attractive deals, VCs will really hustle and the founder can drive the process. On the contrary, the pragmatic incentives for all sophisticated investors considering investing in a VC fund are aligned to have them just hang around the hoop and see what happens – especially for a first fund. They can simply sit and watch to see who ponies up first, waiting patiently to see how successful the fund managers are at raising the initial dollars, and then jump in if those signals demonstrate the fund as an interesting, credible opportunity. And for many, sitting out the first fund to wait and watch the story evolve is the right answer. After all, the economic deal for investors in Fund II is almost never any different than the economics of Fund I. As a result of all this, first-time funds often take 18-24 months to raise, whereas Seed rounds rarely take more than 5-6 months, and competitive ones can happen in a matter of weeks. We experienced this in our first fund; it was hard to corral all the right people at the right time to make it happen. If you’ve performed well, you can create some sense of scarcity with your next fund, and this time we were able to pull together an over-subscribed fund in a much tighter timeframe. Primary has an NYC-first approach. Why? We approach Seed-stage investing as a high-touch, service-intensive business. We are relatively low-volume compared to most of our peer group. The relationships we want to build with our founders are more easily cultivated at a local level, where frequent coffees, dinners and face-to-face interaction establishes a very different sort of relationship and enables us to be much more responsive and supportive. In a market like New York, which is certainly large enough to support a singular geographic focus, we vastly prefer the intimacy of that approach. Additionally, our Portfolio Impact resources have been so effective in large measure because we are geographically-oriented. Much of what we have built is not particularly geographically extensible, and that’s a choice we’re delighted to have made. How has tech in NYC evolved since you started? Any observations – what do we do well and what do we need to improve on? Where are we as an ecosystem going forward from your vantage point? The thing we think about a lot here is how the observable quality of the founders we meet continues to rise over time. What’s exciting to us, and why we don’t have an ounce of hesitation about doubling down on a NY-centric strategy, is that we are now fully 10 years removed from the beginning of the financial crisis. That crisis drove a structural shift in the labor market out of finance and into tech, which in turn gave an enormous boost to the startup economy in the city. But 8-10 years ago, much of that talent was really smart and capable, but quite immature and inexperienced when it came to operating tech companies. Today, those same people are 8-10 years into their tech career, many with 2-3 tours of duty in startups, and are now genuinely super-qualified, knowledgeable, thoughtful, seasoned founders. That bodes incredibly well for the quality of companies we’re going to continue building here. Last year, Primary hosted the inaugural NYC Summit, a two-day long conference that featured leading investors from both coasts as well as some entrepreneurs that are building amazing businesses. Tell us about the impetus to create such an event and what are the plans for this year? We held our first Summit in Fall 2017. It was driven by our recognition that, as exciting as this market has become, it didn’t feel like it had an anchor event that coalesced the entrepreneurial and investor communities. And it deserved one! 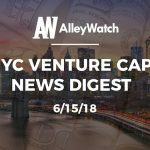 So we seized the reigns and convened the leading VCs from around the country to talk about what they’re seeing, why they’re excited about NYC Tech, and to highlight for them the exciting early-stage companies and investors in our city. We had representatives from over 85 of the top firms, including Accel, Greylock, Battery, Bessemer, and First Round Capital, and we showcased about 50 NYC-based startups. The Summit was a great success last year, and we’re planning our second for the coming fall, making it a broader, more inclusive event for the community at large. We are very founder-driven in our investment thinking. One thing we look for is the raw leadership and salesmanship skills of a founder. We think that the most successful founders are almost always naturally gifted communicators and salespeople. We look specifically for indicators that they will over-index on the ability to repeatedly make three critical and unnatural sales as they build their business: 1) Convincing really talented, gainfully employed people to come and work for their riskier/less certain endeavor; 2) Selling stock, which they will have to do repeatedly throughout the life of their company. People who are great storytellers and salesmen when it comes to capitalizing their companies not only succeed at raising capital at higher prices, but they also tend to get it done in dramatically less time. This, in turn, means that their companies are less distracted by these processes, and they can spend more time doing the important work of executing the business; 3) Selling product. People at big companies get fired for buying software that doesn’t work or from companies that fail. Selling technology as a raw startup is brutally difficult. Having a sales culture that starts and is led by the founders is absolutely essential, particularly in the early days. These sales leadership capabilities, plus a proven history of execution is a recipe for success in our book. For any given opportunity, we dig deep into the individual’s professional history to make sure they have a clear track record of being a killer, overachieving executor. By virtue of making an investment in a company, there is a demonstrable inclination that a company will do well. But given your tenure in venture and after a number of successful investments, there has got to be some investments where you knew right off the bat, that the company would do well. Are there are common characteristics that you have observed whether it be in the teams, industries, businesses, or founders in these instances? The investments with the clearest indication of success are those where you have salesmanship and proven execution capabilities married to leaders that are operating in a market they know intimately, and in which they’ve had success before. This was the case when I backed Andrew Dreskin as he was getting Ticketfly off the ground. He is an incredibly compelling entrepreneur, and he was attacking a market that he knew better than anyone in the world. Similarly, when I backed Anil Aggarwal and Jonathan Wiener when they were launching TxVia, they were selling a payments technology company into a market that they knew extremely well and had had success in already. We’ve now backed those guys twice more since then – with ShopTalk and HLTH – both of which are derivatives of their incredible success building Money20/20 into a 9-digit exit a few years ago. What metrics do entrepreneurs overlook or not place enough emphasis on that are important to consider when you are evaluating investment merit of a business? What metrics are very specific to SaaS businesses that are important? I think entrepreneurs often know which metrics they should be tracking and reporting, but don’t actually know how to measure them. They’ve done the superficial review of blog posts that advise them on the metrics they need and scrambled something together, but the way they actually calculate those metrics demonstrates that they don’t understand them. This, in turn, often leaves them looking like they don’t understand the true unit economics of their business. One very simple example I’ve seen a surprising amount is customers who talk about lifetime value being purely a function of revenue, when lifetime value is actually a function of gross profit over time. That’s an enormous difference, depending on the margin structure of your business! So when you’re thinking about the metrics to measure and manage your business by, make sure you’ve done all of your homework and truly understand them. What can entrepreneurs do to ensure that the funding process is smooth from first meeting to getting to a round close? There’s a big difference in degrees of preparedness that entrepreneurs show up with when they begin the process. The best thing you can do is spend enough time talking to other entrepreneurs or friendly investors, and before you start a process, get a thorough accounting of all the critical questions and objections that you are likely to face in the process. You should show up to the process with answers to those questions fully baked and ready to go. In some instances, that may mean architecting your fundraising and pitch deck in a way that directly short-circuits some of those, and in other places that will mean having materials and data in your back pocket so that when those questions come up, you can tackle them head-on. The investors that you want to end up with on your cap table, the ones who will be the most helpful to you, are people who are not going to forget to ask the tough questions. You’re better off raising those issues yourself, defining the terms of the conversation and demonstrating that you understand the risks and logical criticisms, and you’ve thought them through. What are some things that you repeatedly see early stage companies and founders struggle with? One of the biggest challenges, particularly for first-time founders, is not being sufficiently aspirational in early hiring. Oftentimes, founders have some sense that they’re not yet ready for, or they don’t yet deserve, the very best candidates. So they settle for less, and what they think is gettable. That, in turn, leads to mediocre leadership and mediocre performance. Other times, we see first-time founders going out to hire a great first marketing lead, for instance, without actually knowing what a great marketing leader looks like. If you can’t define what great looks like, or if you can’t confidently point to someone you know who is a great example of the person you want to hire, then don’t guess at it. Use your networks to find your way to a truly great example of what you aspire to land. Even if that person isn’t available, get to know him/her, and try to understand why they’re great. This process can then critically frame your expectations and help you find the next great candidate. Just Mercy: A Story of Justice and Redemption, by Bryan Stevenson. Amazing, and everyone in America has a responsibility to understand the ridiculous injustice in our criminal justice system. I’m not a big TV viewer, outside of live sports, but my wife and I are anxiously awaiting the next season of The Crown. What’s your favorite outdoor summer activity in NYC? My kids like nothing better than going to the original Shake Shack in Madison Square Park. Are there any teams that you are rooting for in the upcoming World Cup? Hrvatska (Croatia)…Those are my roots!